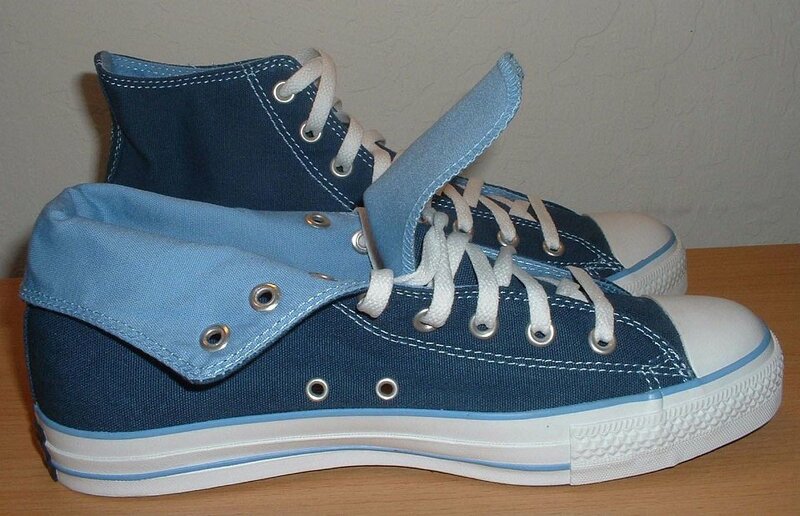 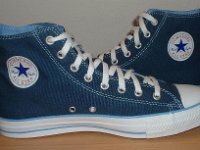 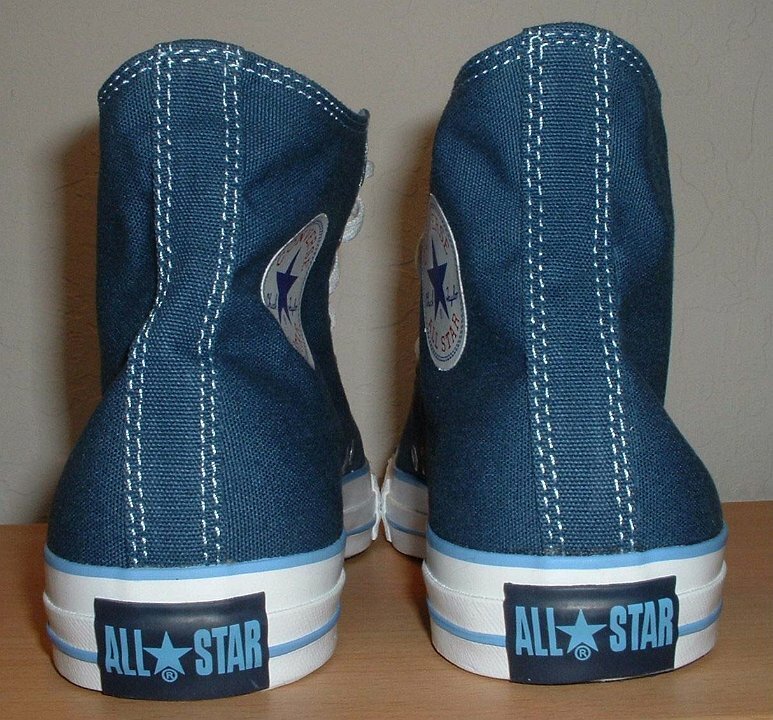 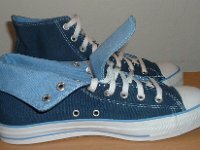 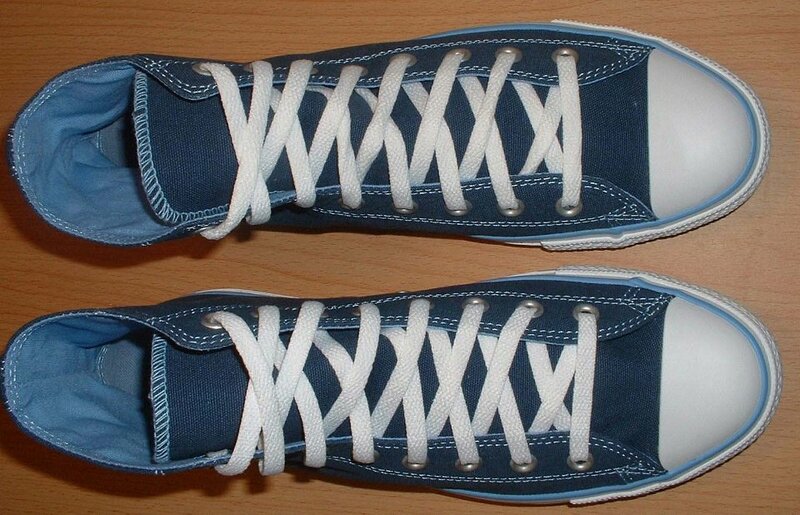 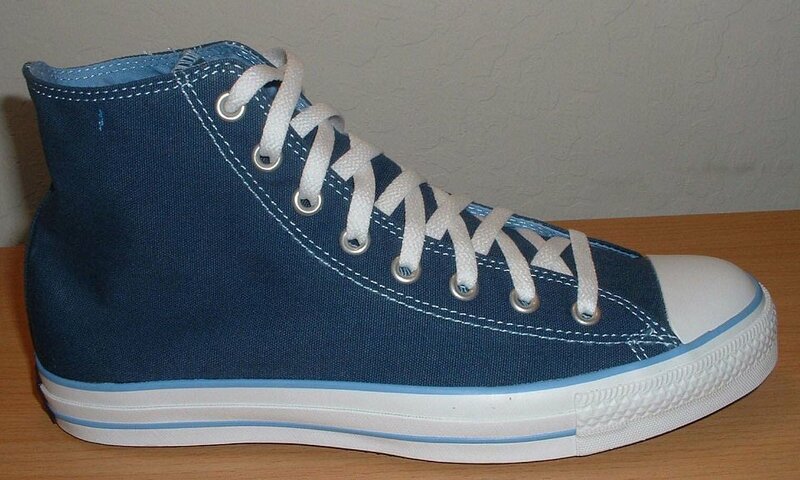 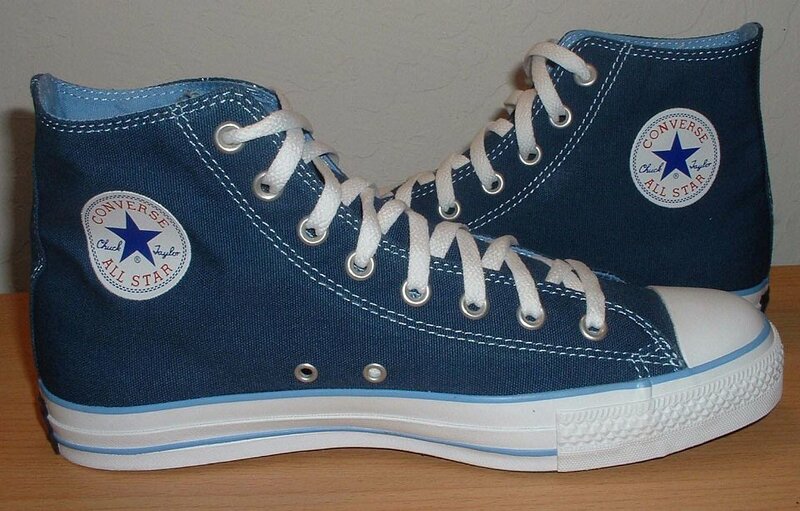 Photo gallery of navy and Carolina blue foldover high top chucks. 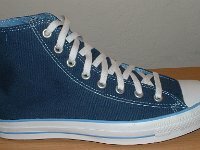 1 Navy and Carolina Blue Foldover Chucks Navy and Light Blue Foldover High Top, left outside view. 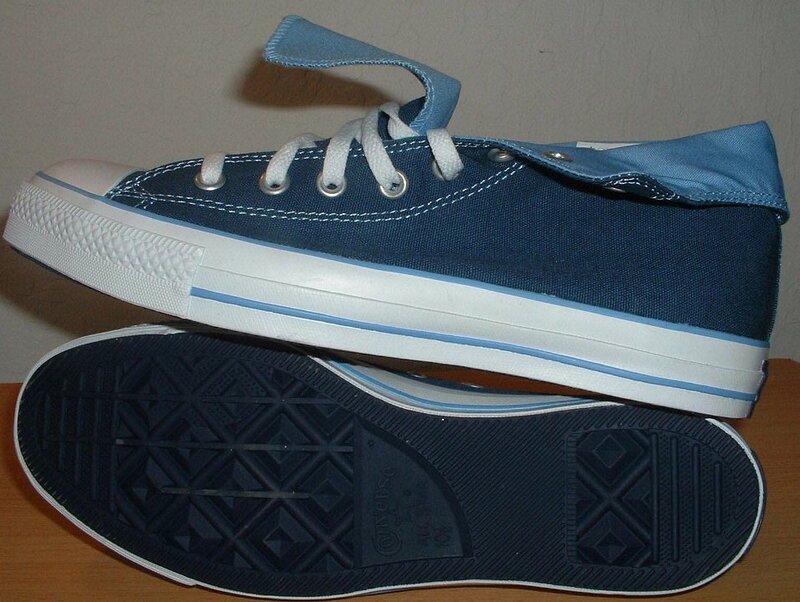 2 Navy and Carolina Blue Foldover Chucks Navy and Light Blue Foldover High Top, left inside patch view. 3 Navy and Carolina Blue Foldover Chucks Navy and Light Blue Foldover High Top, left outside view. 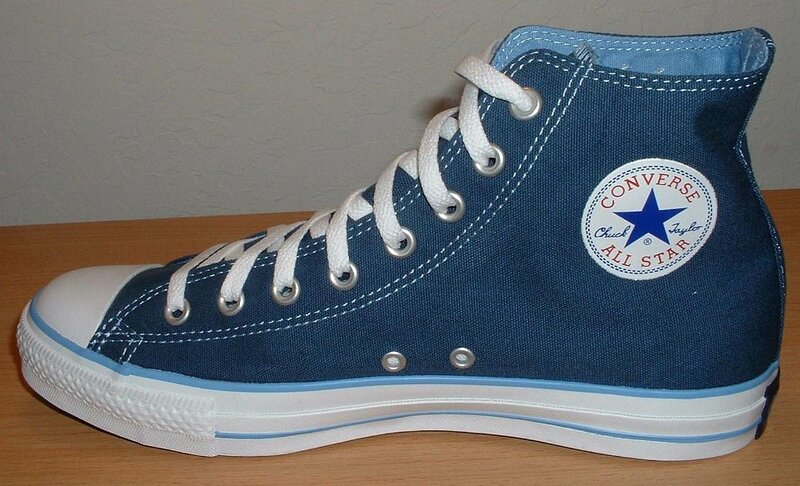 4 Navy and Carolina Blue Foldover Chucks Navy and Light Blue Foldover High Top, right inside patch view. 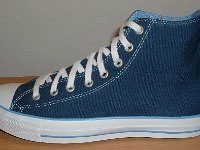 5 Navy and Carolina Blue Foldover Chucks Navy and Light Blue Foldover High Tops, front view. 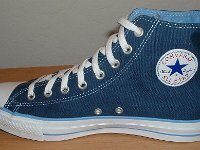 6 Navy and Carolina Blue Foldover Chucks Navy and Light Blue Foldover High Tops, rear view. 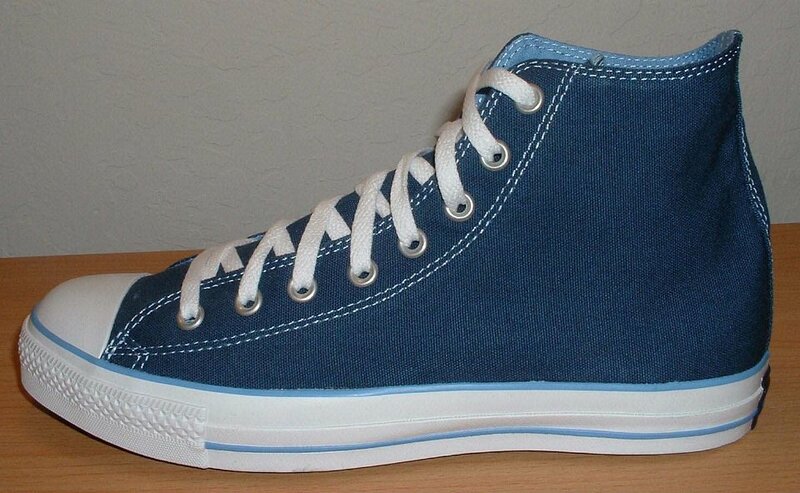 7 Navy and Carolina Blue Foldover Chucks Navy and Light Blue Foldover High Tops, top view. 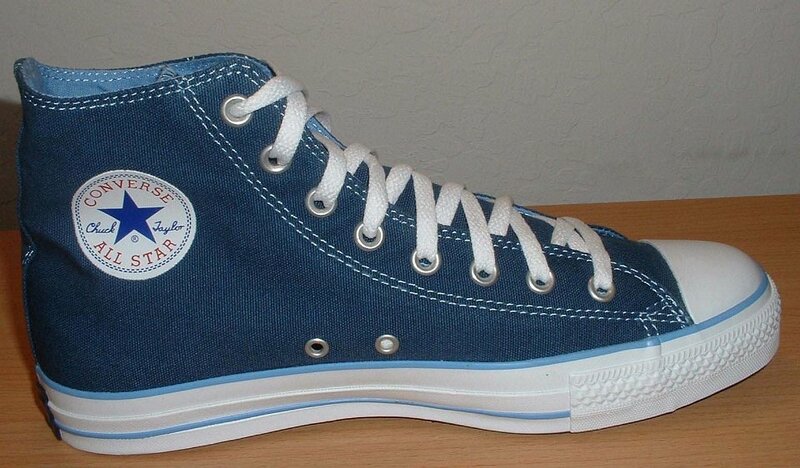 8 Navy and Carolina Blue Foldover Chucks Navy and Light Blue Foldover High Tops, inside patch view. 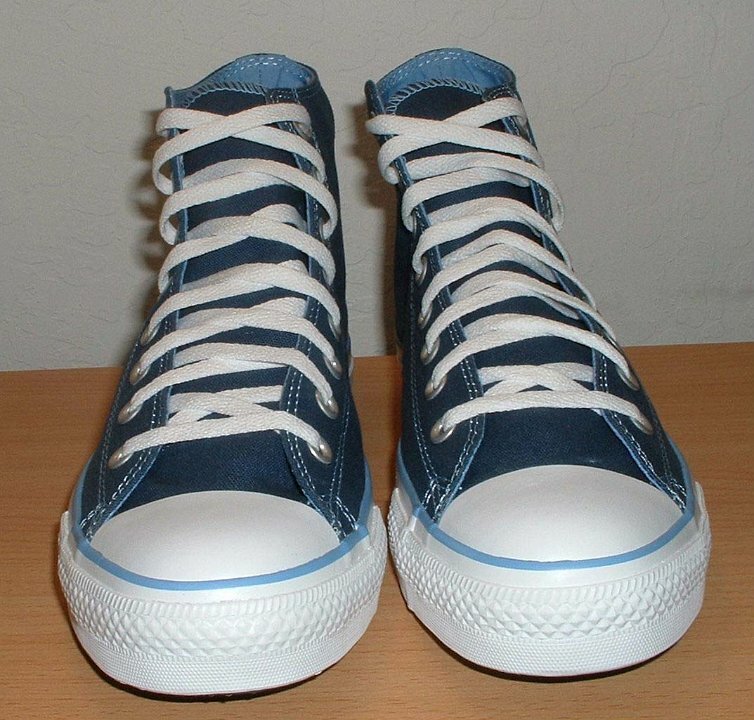 9 Navy and Carolina Blue Foldover Chucks Navy and Light Blue Foldover High Tops, side view. 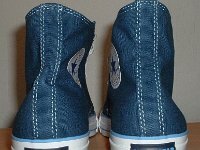 10 Navy and Carolina Blue Foldover Chucks Navy and Light Blue Foldover High Tops, side and sole views. 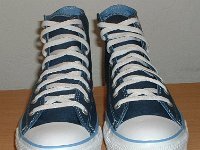 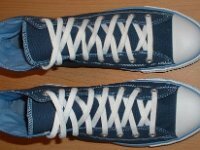 These high tops have navy blue outer and Carolina blue inner canvas uppers, Carolina blue piping, and come with white laces. 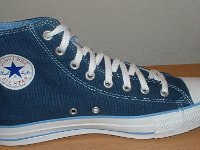 The heel patch is navy blue with light blue lettering.